I’m prepping for a few fun things right now, and I wanted to share them with you so you can add them to your calendars if you’re in yyc in February or March. P.J. Vernon, author of the psychological thriller Where You Find Me, and I are the opening act for Alexandra Writes’ Centre Society’s Ultimate Writing Championships rumble between its out-going writer-in-residence, Sarah L. Johnson, and its in-coming writer-in-residence, Bradley Somer. 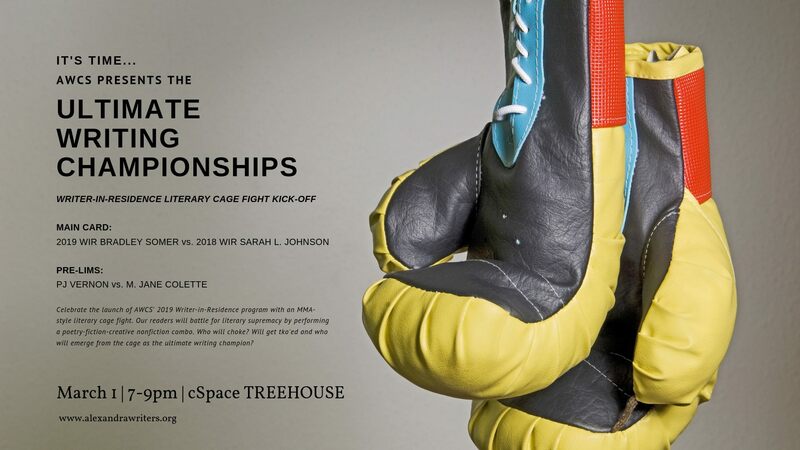 Celebrate the launch of the 2019 Writer in Residence Program with an MMA-style literary cage fight. Our readers will battle for literary supremacy by performing a poetry-fiction-creative nonfiction combo. Who will choke? Get tko’ed and who will emerge from the cage as the ultimate writing champion? Want these? You can get them at SkyShoes. Also, I wrote a new piece just for the event, so, yeah. I’m doing a light, 45-minute version of this workshop for the Alberta Romance Writers’ Association on Saturday, March 9. Otherwise, I am attending Unganisha in a purely spectative capacity on February 2–and you should do if you’re in yyc! And on February 8, I’m at the opening of the very talented artist Belinda Fireman’s show, This Is Me (Facebook event) at Loft 112. 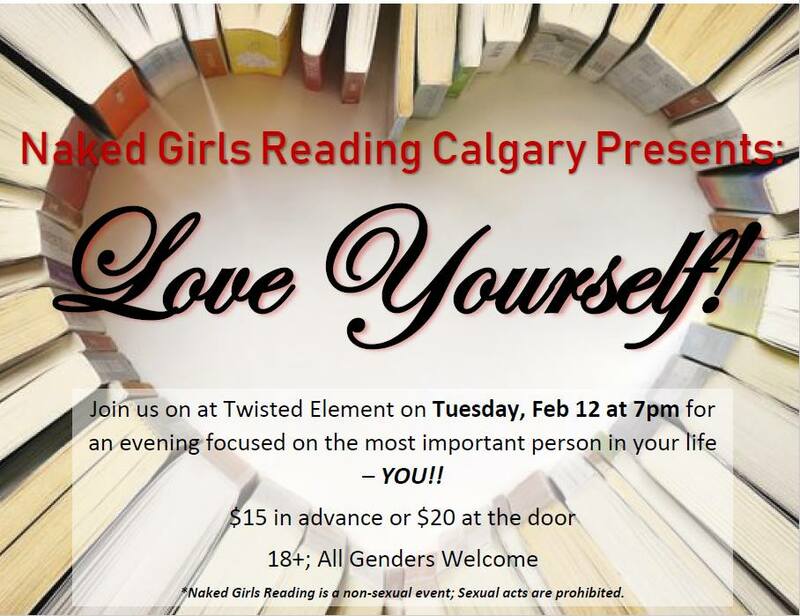 Then, on Tuesday, February 12–it’s another Naked Girls Reading! The Naked Girls Reading, btw, might be part of my entourage at the Mixed Writing Championships. We’re talking. Stay tuned.